Most of us have heard of the many benefits that can be derived from juice cleansing, or juice fasting. Juice cleanse recipes are a good way to energize and detoxify your body or to help jump start a weight loss program. But, usually when people talk of the benefits of doing a juice cleanse, they ignore what is probably the most beneficial aspect of juicing. Generally, we don’t eat enough fruits and vegetables as part of our daily diet. The USDA recommends that we consume four and half cups of fruits and vegetables every day and, even more importantly, that there is a great variety in the vegetables that we eat; every day we should be eating starchy, dark green and orange vegetables. So, if you’re eating three servings of leafy green vegetables every day, you’re still not properly meeting your nutritional requirements. A properly balanced diet requires variety. The reason for this is simple. In addition to the specific nutritional benefits of a particular type of fruit or vegetable (fiber, vitamins and minerals) there are non-nutrients (such as antioxidants, probiotics and prebiotics) and phytochemicals provided by whole fruits and vegetables and their juices and that cannot be readily obtained from other sources. Non-nutrients and phytochemicals work together to rid the body of toxins and build up our immune systems. It is believed that the phytochemicals in fruits and vegetables can help to ward off diseases such as cancer and diabetes and help to prevent strokes. A juice cleanse is a great way to get your body back on the right nutritional track and ensure that you are consuming enough fruits and vegetables to turn your body into a strong, healthy, disease-fighting machine (1). Now that we understand the benefits of a juice cleanse, what’s the best way to get started? Many people struggle when they jump into any type of cleanse “cold turkey” as their bodies aren’t properly prepared for the sudden change in their dietary habits. Some people experience fatigue, nausea, headaches and emotional irritability at the beginning of a cleanse. 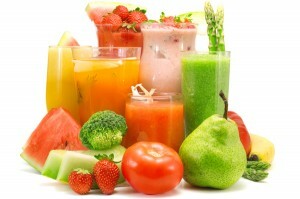 If you are new to cleansing, it’s best to prepare your body for the cleanse for 3 to 5 day before you begin. The first step is eliminating all processed food from your diet for those days and eating as many whole foods as possible, especially fruits, vegetables, legumes and whole grains. It is also a good idea to eliminate red meat from your diet for a day or two immediately preceding the beginning of a cleanse. Once you’re ready to get started, you’ll need to shop for all of the fruits and vegetables that you’ll need for your juice cleanse. Ideally, you should buy as much organic produce as possible, especially for those fruits and vegetables that are not protected by a hard shell or peel – things like carrots, spinach, tomatoes, apples, fresh berries and pears. Another good idea is to buy some organic blackstrap molasses. This type of molasses is rich in potassium. Potassium is the third most abundant mineral in the body and it is probably the number one mineral responsible for overall strength, immune system health and physical energy. Adding a tablespoon of molasses to a glass of juice once or twice a day will increase the benefits of your cleanse. When it comes to what fruits and vegetables you should juice, the options are endless and you can use your imagination to come up with healthy and creative fruit and vegetable combinations. After juicing the grapefruit and orange with a citrus juicer, blend the tomatoes and cucumber in a blender and strain the juice. Add the tomato and cucumber juice to the citrus juices and stir well. Blend the tomatoes in a blender, strain the juice, place in a large glass or container and set aside. Blend (with a 1/8 cup of water) or use a food processor to “juice” the beet, strain it and add it to the tomato juice. Blend the spinach, bell pepper and lemon with the remaining water. When well blended, strain the juice with a strainer or cheesecloth and add it to the tomato and beet juice mixture. You may add a dash of cayenne pepper for flavor.